Mene often adapted his larger works into small miniature versions. 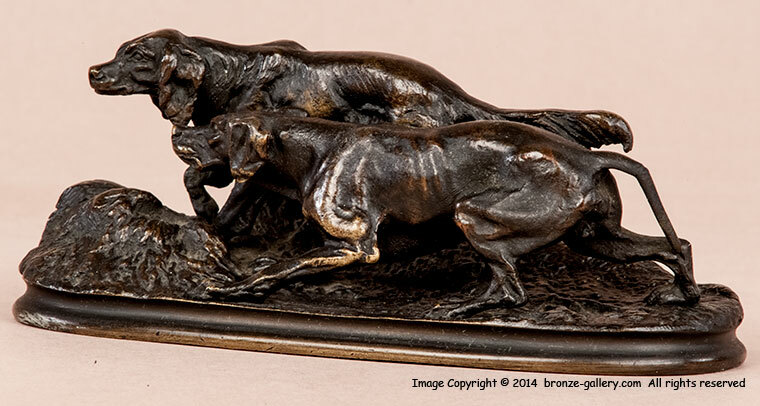 Here is a miniature of his Chasse a la Perdrix with a Setter and a Pointer on point. 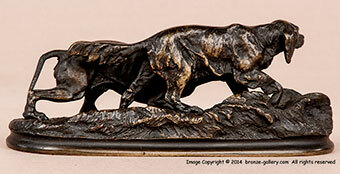 The bronze is finely detailed with a dark brown black patina. It was cast by Mene in his own foundry and shows fine detail. A rare model not often found, as many of these miniature were broken and discarded over the years.